The Barrié Foundation and the Foundació Foto Colectania have co-produced this exhibition of photos from the Martin Z. Margulies Collection. After a few months in A Coruña, an exhibition that gives us the opportunity to enjoy one of the best collections today has come to Barcelona this week. It’s an extraordinary selection that will exhibit works of all styles and techniques taken from the Martin Z. Margulies Collection. The Dwelling Life of Man.Photographs from the Martin Z. Margulies Collection revolves around the question of how we inhabit the world: what does being in the world mean?How do we interact with it? How do we leave our personal footprint on it? This is the starting point of a sample that includes more than 165 works by 50 different artists. Margulies has spent the last 30 years building up one of today’s most important art collections that includes paintings, sculptures, videos and photographs. 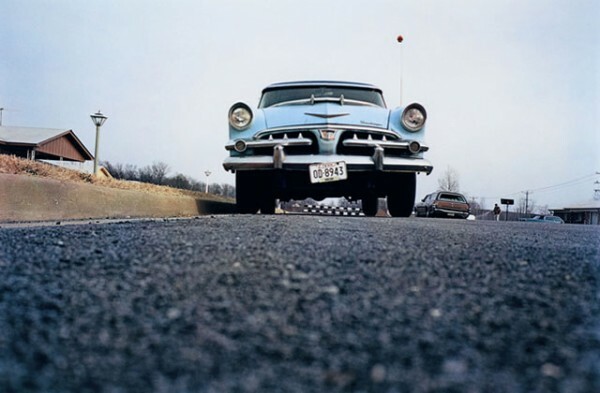 The Dwelling Life of Man brings together big names in international photography such as Walker Evans, Dorothea Lange, Lee Friedlander, Ed Ruscha, Helen Levitt, Stephen Shore, William Eggleston, Andreas Gursky and Roni Horn. The exhibition’s curator, Régis Durand, explains that the title is inspired by one of the last poems by German author Friedrich Hölderlin. The poem dwells on the question of how man lives in the world and on the brilliant analysis that the German philosopher Martin Heidegger wrote about it.All in all, it’s a recurring theme that many artists have dwelled on and it’s the exhibition’s central theme. Part I. Building, living: mapping territories: analyses the physical and spiritual ways of inhabiting the world. Part II. Being in the world: analyses the different ways in which human beings face life. Part III. Flowcharts, signs and symbols: they explain how photographs show the ticking away of time. The uniqueness of the sample meant that the exhibition is displayed simultaneously in two venues, a first for an exhibition. The venues are the Fundació Foto Colectania (Part I and II) and the Fundació Suñol (Part III). The exhibition will be on until June 16th.